Hand forged to final width and taper, Jelle Hazenberg normalizes the White No.2 and 22-layer damascus blade three times and quenches in water for optimal edge performance at a hardness of 62-63 HRC. This knife is setup for right-handed users having a slightly flatter bevel on the left side, and more convex on the right. 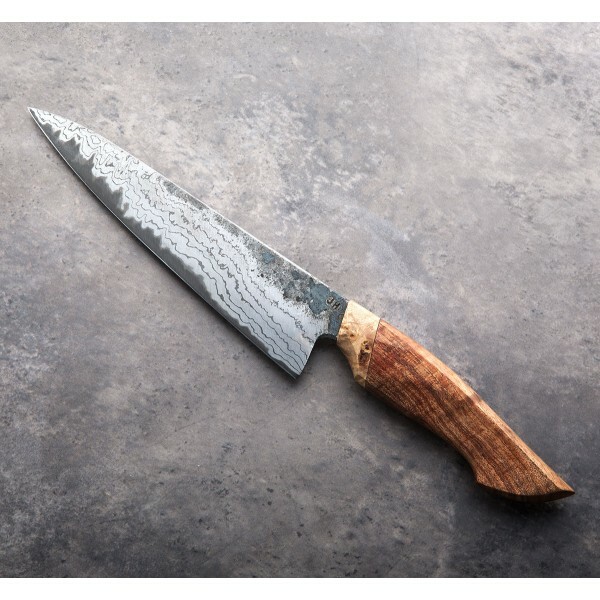 At 178mm / 7" with a gently curved edge and a slight drop point, coupled with Jelle's gorgeous handle profile, this is an outstanding knife for pinch-grip chopping and precision slicing. And at only 4.9oz it moves effortlessly in the hand. 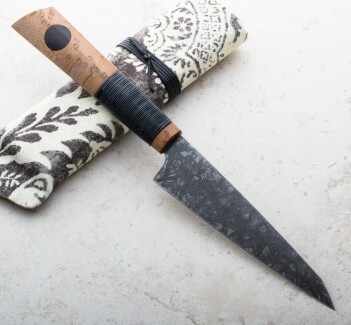 A handmade leather sheath is included. 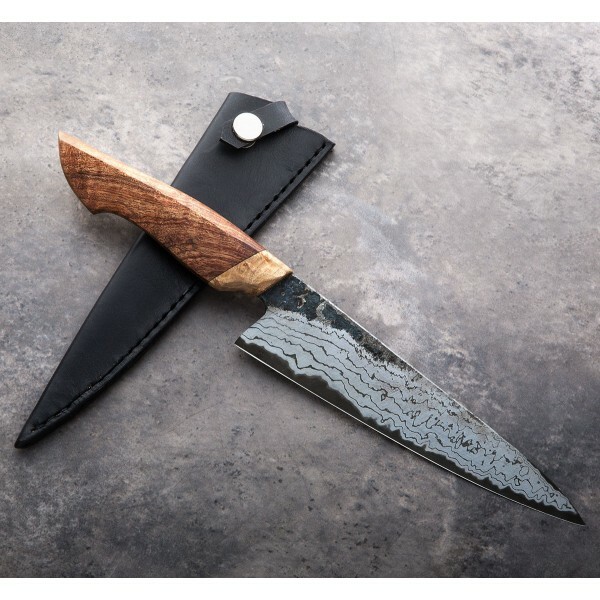 Jelle Hazenberg hand forges san mai kitchen cutlery at his small shop in Ireland when he's not using the same tools to chop, slice and dice in a commercial kitchen as a full-time chef. His unique and always recognizable look represents the combination of form and function we look for at Eatingtools, a result of his creative vision and his hours spent using the tools he now creates. 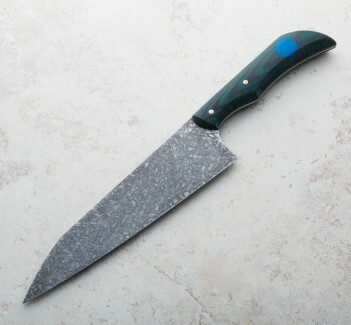 Blade length: 7" (178mm). Overall length: 12.5". Blade width at heel: 2.8mm. Blade height at heel: 45mm. Weight: 4.9oz / 138g.